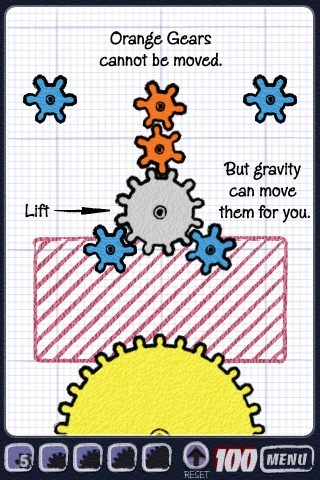 There are plenty of silly games that one can play on an iPhone. But sometimes, you want to play a game that challenges you and makes you use your problem solving skills. Besides, puzzles can be great time killers, making them very handy for those with a lot of down time on their hands. 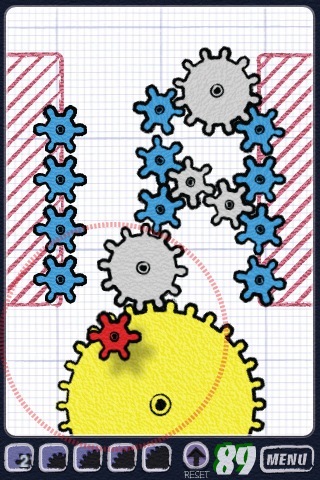 Geared is an interesting puzzle game that has a ton of levels and knocks the boredom out of you. Geared has a ton of levels. The controls are easy to get used to. Some levels are very easy, and then there are some that can be a tad bit difficult. Putting these gears together the right way can be very addictive. The fact that you can pick up and run with this app right away makes it a great choice for those on the go. I like the fact that you can skip to any level. Progress is saved automatically, which is nice to have. I do like to see even more challenging levels added to this app. The app does have the potential to be extremely hard and even more addictive. Still, it’s simple to pick up and will keep you entertained for a while.